D. Wayne Lukas may not be sending Dublin to the Belmont, but he’ll be busy nonetheless; he’s just become the trainer for Kentucky Derby winner Mine That Bird. The move had been rumored for a few weeks, but it was confirmed this week with the horse setting out from New Mexico for Kentucky – this time, in a trailer not driver by his old trainer. Apparently Chip Woolley’s handling of the popular gelding was not quite good enough, as just about anyone can get a horse to win the Derby and finish in the money in the other two Triple Crown races. That leads us to a small aside – how frequently do we see the previous year’s Derby, Preakness and Belmont champions all residing in a new trainer’s barn by the following spring? Granted, Rachel Alexandra had already made the move by Preakness time, but that was just days after her Oaks win; all statistics in this area are welcomed. “I appreciate the opportunity I had to train him and I wish him the very best and hope he has a long career and wins 100 races,” Woolley said. “I will be pulling for him every time he goes into the gate. I thought I had a good bond with him, but I guess that doesn’t really matter now. Woolley said he was not invited to come by and say goodbye to the horse. It would seem that Woolley has joined the John Servis Club – win the Derby, get dropped by your bigger clients. Here’s hoping both trainers find better luck (and, perhaps, more loyal clients) in the near future. 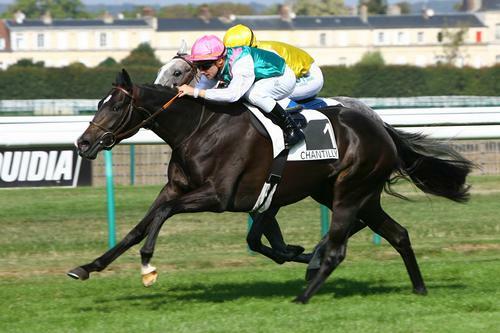 More cheerily, we have an exciting return to the races to look forward to this weekend – dual Breeders’ Cup Mile champion Goldikova will take on the talented Stacelita in the Prix d’Ispahan at Longchamp on Sunday. It will be the seasonal debut for both mares, and both are likely a bit vulnerable here after long layoffs. Let us recall that Goldikova finished seventh out of nine (or Seven of Nine, if you prefer) in this race last year to inferior competition over a soft course, although she returned to her winning ways next time out. Stacelita is also looking to bounce back from a seventh-place finish, albeit a respectable one – she faced a tough group in the Arc and finished better than most. Also Sunday’s Longchamp card is the Prix Saint-Alary, which will feature Deluxe, the latest racing offspring of broodmare superstar Hasili. The 3-year-old filly is unbeaten in two starts so far, but this will be her first effort in Group 1 company (and her first shot at a 1 1/4 mile distance – her previous wins came at a mile). Stacelita won this race last year before heading to victory in the Prix de Diane – she’s as fine a role model as Deluxe’s many illustrious half-siblings. Any guesses as to the potential odds for her to complete an Arc/Breeders’ Cup double? It would be really neat if Rachel Alexandra, Summer Bird and Mine that Bird somehow made it into the same race this year. A long-long-shot, but it’s an interesting idea to ponder. I can’t wait to see Goldikova back in action!